Beck Hansen sits in the control room of Capitol Records’ legendary Studio B, his twiggy frame nestled in a rolling chair. The tousle-haired musician is 47 and married with two kids, but his age doesn’t show. It’s a neat trick he shares with his music. For nearly 25 years, the mononymous singer, songwriter, and composer has toed the line between classic and au courant. His oeuvre is notoriously chameleonic, from the slack-rap junkyard blues of his 1994 breakthrough, “Loser,” to the revolutionary folk-hop of 1996’s Odelay to the Tropicália-infused country of 1998’s Mutations and all the way on through his latest, October’s Colors. 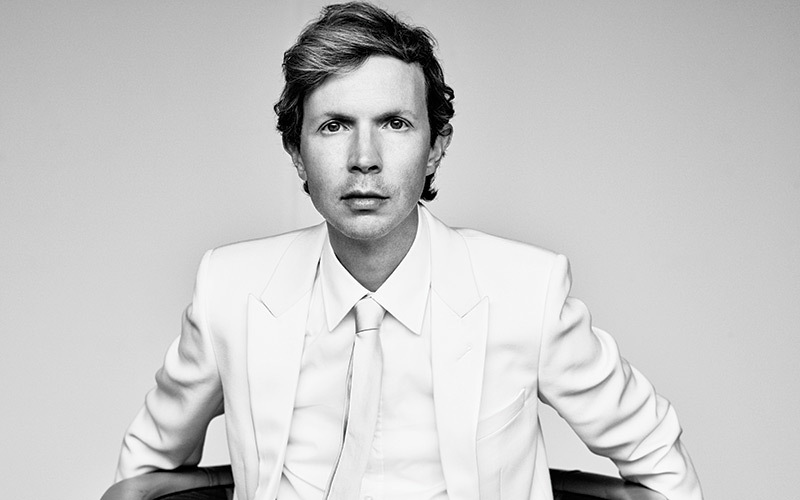 The album, Beck’s 13th, meticulously merges modern dance-pop with joyous indie rock and the sort of sunshine psychedelia minted by the Beach Boys (who once used this studio). But if you think he has it all figured out, think again. Ask about his success and he’ll willingly admit: He’s as delightfully mystified by it as we are. For Colors you’ve said you were aiming for “simple, uplifting, and galvanizing.” You’ve hit on all three before, but maybe not all at once. Is this new territory you’re triangulating? No, I’m always trying to do the same thing. I get sidetracked or rerouted on the way to my destination, but for years I’ve been going, “Let’s do something really simple and classic,” and then it becomes something else. Always. Galvanizing is such a weird word to use for an album. I’ve gotta go back to the word farm, but the way that manifests is the songs are faster, there’s a sort of melodic harmonic uplift happening, and something playful in the sound and songwriting. “Always trying to do the same thing” isn’t the motto I would’ve chosen for you. 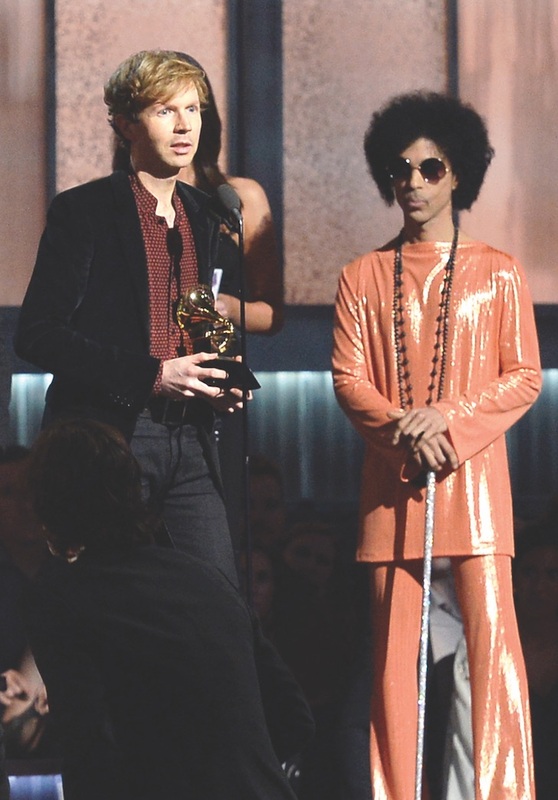 Beck accepts the Album of the Year award for Morning Phase at the 2015 Grammys. How would you characterize that light you’re aiming for at the end of the tunnel? Transcendent, effervescent, brighten-up-the-room-a-little-bit kinds of records, whether it’s Tom Petty or the Beatles. Maybe if it’s the Clash, it’s a raw version, or if it’s James Brown, it’s a little bit funkier. It’s those qualities of records you love. I can go to some obscure places and be as excited by some early Brian Eno record as somebody else would be listening to a boy band, but I’m thinking of these canonical pop masterpieces by Michael Jackson, Prince, David Bowie. It’s that thing any musician is doing: You’re mining for something. I was talking to somebody who’s getting into collecting rare rocks. He goes hiking in the mountains, and it’s a perfect analogy of what we’re trying to do. It’s a bit foolish—hot and dusty, and you’re going through terrain trying to find a needle in a haystack, but if you get something that’s half good, it keeps you coming back. That pretty much wraps up the entire artistic struggle with a bow on top. You can also go into a studio and make a bunch of noise, have fun with your friends, and do something just to do it, to be creative. That’s valid, too. That’s what The Information is. I was playing a lot with bands like the Yeah Yeah Yeahs and the White Stripes at the time and loving that loose energy. I’ve approached albums a dozen different ways. I don’t have a formula. I don’t just write a bunch of songs, then go cut it with a producer, where each record is a slightly different-sounding version of the same thing. I really look at the records as their own little self-contained worlds, and maybe some connect to each other across time. One could roughly divide your albums into two piles: loud/fun/upbeat/digital and quiet/serious/downcast/analog. Which feels better to let loose into the world? It’s strange because the way the world receives it is rarely how you intend it, and so be it. But it is satisfying when people get what you’re trying to do. Morning Phase was a rare thing. If I put that record out 20 years ago, people would be like, “Oh, this is too slow. This feels too pretty.” It came at a time when people were in the same place, ready to have the same conversation. There’s always a sense of “I don’t know if this is gonna connect,” but I’ve done it long enough to know, even if it falls flat and nobody likes it, there will be a point when people are ready for it. 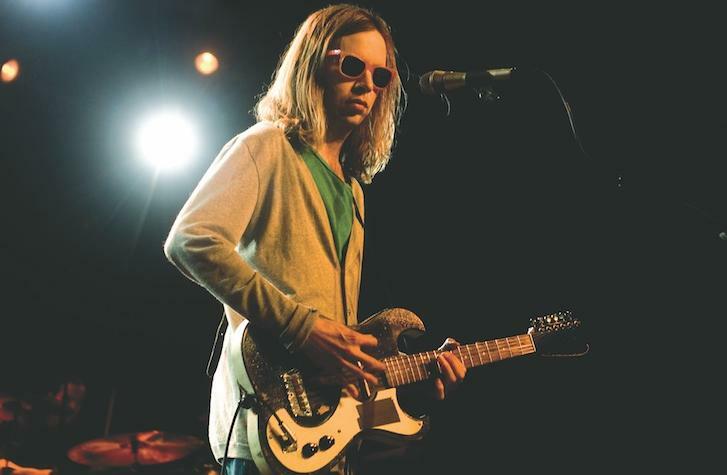 Beck performs in Amsterdam in 2008. In a way that’s been your role the entire time. You arrived smack-dab between the manly arts of grunge and rap-rock, in all of your lanky, dancing, kazoo-blowing dweebiness. Did you feel the odd man out at festivals or awards shows? You’ve said you felt like an outcast growing up in L.A., but the music you’ve made over the years almost encapsulates L.A. as if it were a genre: ever-shifting, containing multitudes, with tons of distinctly Angeleno facets. Have you ever felt like a sonic ambassador to this city? I had that a lot with my first two albums, the European journalists saying, “Your music made no sense to me at all until I got to L.A. last night, and I now totally get it.” Maybe not an ambassador but definitely a product. It’s something I fought, too, because I do love the purity of certain artists, like folk artists. But every band is a product of where they come from. L.A. is such a strange city. It’s alive. I’m constantly driving around having moments like, “There’s 20 restaurants and high fashion stores here, and I remember when it was a laundromat, an old guy who sold tires, and me walking home alone.” L.A. is shape-shifting, and you’re constantly reconciling different versions of the city you knew. 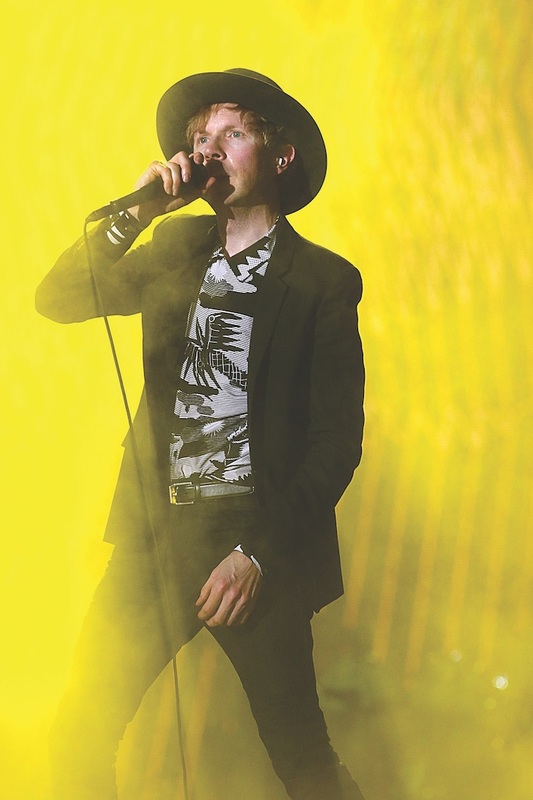 At the 2014 Austin City Limits Music Festival, Beck opens the second weekend. You grew up here in a family with a rich connection to the arts—your mother, a performance artist and musician, worked with Andy Warhol; your father arranged strings for Carole King; your maternal grandfather was in the Fluxus art movement. Was that inspiring? A form of pressure? Or something else? It was sort of peripheral. The thing is, my family’s very working class. There are no academics. My grandfather was an artist, but he ran a gas station. He was in the driveway with old cigarette butts, gluing them onto a board he found in the trash and trying to sell it. And my father made music, but he was always off working—I didn’t see it. There were musicians hanging out, but they were just people with ripped-up jeans and weird hair. The records playing in the background were probably a little weirder—the Runaways and The Rocky Horror Picture Show soundtrack—but there was never anybody like, “Here, I’m going to sit you down and show you how to make art or play music.” It was, “You’re on your own.” Had I the means, the right education, and connections, I may have been happier being a filmmaker. I love film. I knew kids who had a video camera, but we didn’t have the money. What I could afford was a $60 acoustic guitar, so that’s where I defaulted. I don’t even know if music is my best talent. I know some natural musicians. It’s something I work at. When “Loser” hit, it resonated, but you pushed back, denying that you were the voice of a generation and putting on confrontational shows. Why were you so resistant? Well, I came out of a very noncommercial indie scene, but I think my talent leaned more toward catchy melodies and tuneful sensibilities, like blues. I really fought success for probably 10, 15 years and tried to keep the art in the center. After a while I realized that’s its own kind of trap. Some things are gonna be weird and alienate people, and some are gonna be more accessible. When I was younger, I’d turn down things that were more commercial, whether it was being invited onto a certain TV show or writing the theme for a mainstream movie. Now I feel that’s sad because music is part of the culture. Of course, you don’t want it to be co-opted in a crass way, but at the same time, it’s in the fabric of things, so just let it be. As a teen, you’d play city buses, improvising nonsense lyrics. At the 2000 American Music Awards, you had your band do push-ups because you were playing to a track. You released Song Reader, an album of sheet music, in 2012. Is puckish disruption a driving force for you? I think so, yeah. But I came of age right out of the ’80s, and that culture is so far from where we are now. There was a way records sounded, a way movies felt, a way TV shows looked. There was a lot of formula happening. So I think that urge was probably something similar to what happened in the ’60s or later with punk. Some art is for beauty, but certain art is for waking people up. When I did Top of the Pops in 1994, I hired a bunch of 90-year-old men to be my band. Now you have major pop artists like Beyoncé or Kanye West embracing artistic stuff and pushing it. So when Kanye interrupted your Album of the Year speech at the Grammys, were you kind of into it? Yeah. There was no way I could take it personally. I’ve been at the awards before when I was 20-whatever, and somebody else won or Radiohead didn’t and I was like, “What? !” I’ve been up for that award and lost it, so to me the most bizarre thing was that I won. Jay Leno interviews Beck, who made an appearance on the Tonight Show in support of his 2002 album, Sea Change. Your songs have been covered by giants: Tom Petty, Marianne Faithful, Johnny Cash. What have you learned by hearing your music in the hands of people like that? It’s funny. [Producer] Rick Rubin is the reason most of those songs got made, so maybe what I’ve learned is I should send more songs to Rick. My dream was that someone would take a song from Song Reader, these raw melodies and lyrics, and make a masterpiece out of it. Some of the great songs are very simple, but the person who sings them makes them special. Last year we lost three legends who influenced your musical DNA: Prince, David Bowie, and Leonard Cohen. What of theirs would you hope to keep alive? Those are three really special, unique artists. One of the reasons you start making music is so maybe someday you can make music with those people. I would never be so presumptuous to think I could keep what they did alive, but I do keep their work as a high bar. It may be a hundred yards above my head, but it’s something to reach for—a reference for what I’m trying to do. Music has a mind of its own. It’ll progress the way it’s going to progress. There’s a specific language of music, and every decade you’re learning a new language. Man, Songs from a Room by Leonard Cohen may be old-fashioned, but the richness, the craft—there’s something to keep alive. One thing your fans value about your body of work is its unpredictability. When you look back at 25 years of music, what fuels your sonic restlessness? 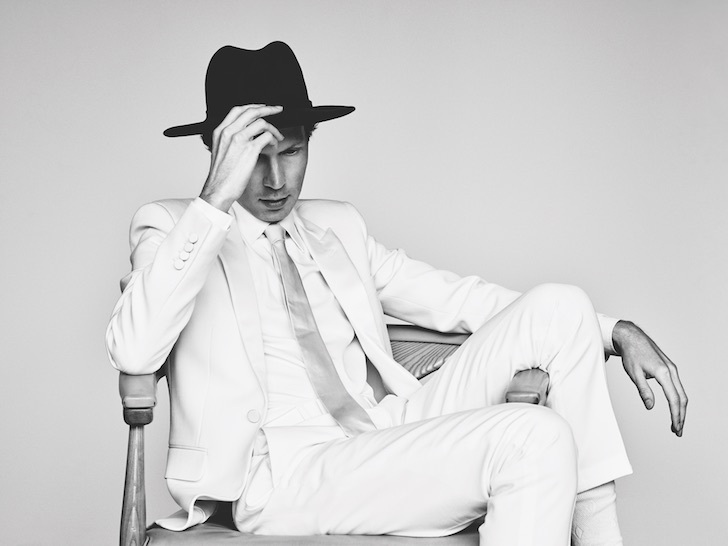 RELATED: What if Every Beck Album Was an L.A. Neighborhood?